In Kimberly Derting’s debut novel romance and suspense combine to form a beautiful combination. Violet has a special power; she can sense the echoes of people who are murdered. She also sees an identical one on the murder. Through most of her life all she’s had to deal with were animals. Violet has only ever found one human, a little girl when she was eight. That is until now. There is a murder loose in her county and Violet feels she is the only one who can find the missing girls and their killer. And if she didn’t have enough to deal with Violet’s absolute best friend, Jay, is beginning to make her feel crazy butterflies and electric shocks at his presence and touch. The Good: Derting does a wonderful job in her debut novel. The romance drags you so far into the book that I feel the suspense isn’t even need; but of course it is very welcome. With the occasional scene from the killer’s point of view make the novel very interesting. And just when you think you know the ending, things are twisted. Jay, a minor character has a very witty personality always coming back with a smart comment. Violet and his friendship is fun and carefree and easy – Something all of us should have. Fans of Lisa McMann’s Wake, Fade, and Gone will enjoy The Body Finder immensely. The Bad: I felt the Violet’s character was somewhat underdeveloped. I feel like she was less than a major character. And I felt that she was hard to get to know and relate to. For me the suspense was lacking in the fact that it didn’t overly impact the major characters in the beginning. Like on a tv drama where bad things happen to the characters of just that episode rather than the regulars (think patients vs. doctors on Grey’s Anatomy or victims/criminals vs. investigators of C.S.I.). Overall though the novel was well-written and a great summer read. The Ugly Updates: This is Derting's debut novel. 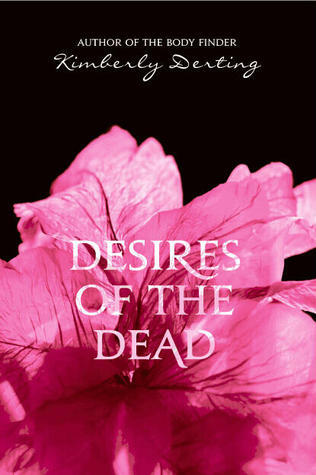 The sequel, Desires of the Dead, comes out March 15th. The cover was just recently released and I personally love it. 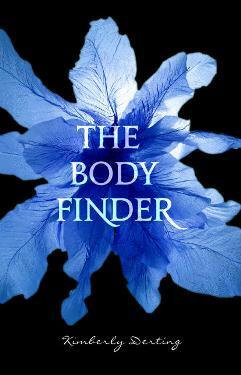 Books on Amazon: The Body Finder & Desires of the Dead. I hadn't seed the sequel cover yet! It is gorgeous.